There’s no official detail beyond that, but the beta has offered a few hints about what to expect. Players have managed to clip into various vaults strewn about the map, and it looks like they’re already at least partly complete. The exact role of these vaults remains unconfirmed, but the phrasing on that terminal suggests it might give access to some sort of instanced dungeon-style content. You can see those vaults for yourself over on Reddit. 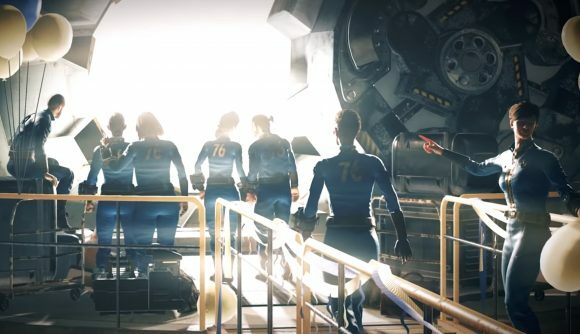 Bethesda’s pre-launch announcement says “C.A.M.P. building improvements, new quests and events, new Vaults opening, character respecing, a faction-based PvP system, and much more” are already in development heading into the Fallout 76 release date. Today has also seen the reveal of the Fallout 76 release times, so you can follow that link for details on exactly when you’ll be able to play as the game launches later this week.